On 5 August 1962, an otherwise ordinary piece of road along the R103, roughly three kilometres outside Howick in South Africa's KwaZulu-Natal province, suddenly took on profound consequence. Armed apartheid police flagged down a car in which Nelson Mandela was pretending to be the chauffeur. Having succeeded in evading capture by apartheid operatives for 17 months, Mandela had just paid a clandestine visit to African National Congress (ANC) president Chief Albert Luthuli's Groutville home to report back on his African odyssey, and to request support in calling for an armed struggle. 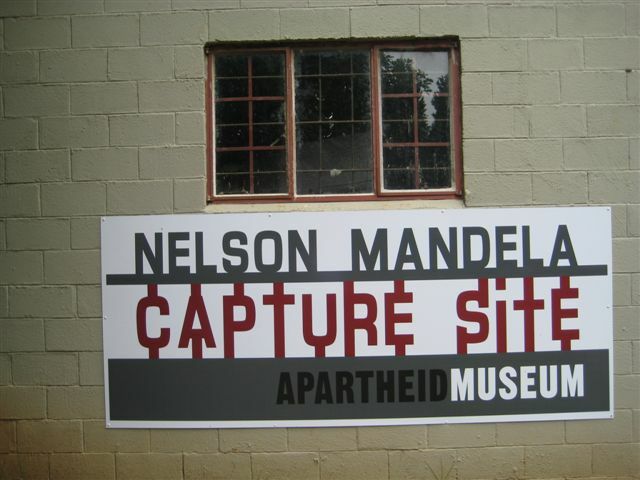 It was in this dramatic way, at this unassuming spot, that Nelson Mandela was finally captured, and proceeded to disappear from public view for the next 27 years. 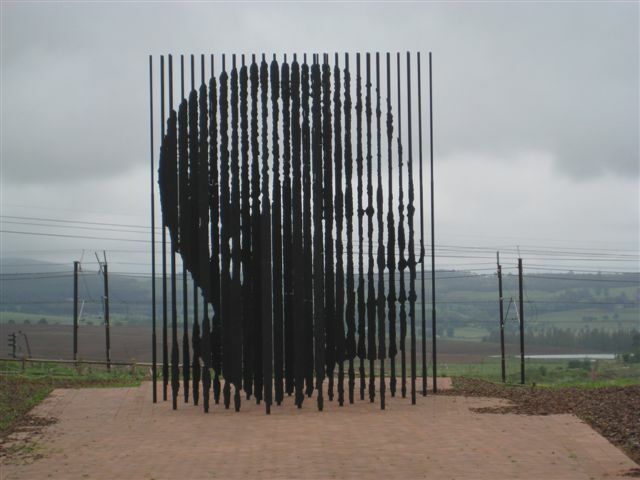 It consists of 50 ten-metre high, laser-cut steel plates set into the landscape, representing the 50-year anniversary of when and where Nelson Mandela was captured and arrested, August 6, 1962, prior to his 27 years incarceration. 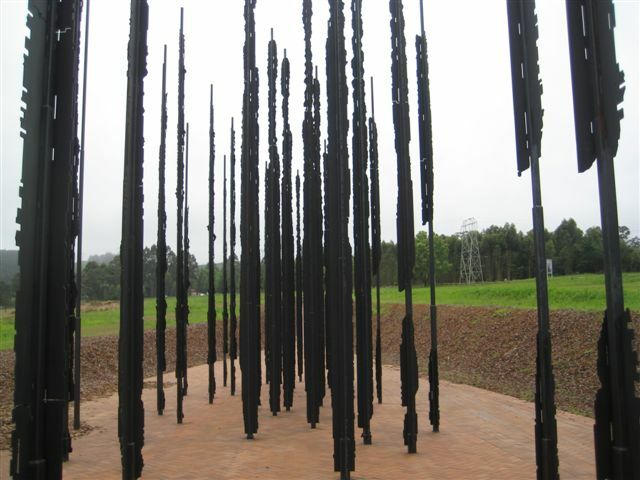 Stand at a particular point – the columns come into focus and the image of Nelson Mandela can be seen! 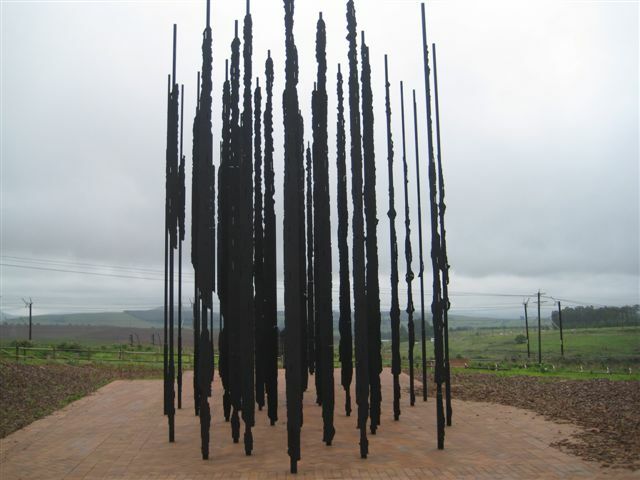 The extraordinary sculpture by artist Marco Cianfanelli comprises 50 steel column constructions - each between 6.5 and 9.5 metres tall - set into the KwaZulu-Natal Midlands landscape. 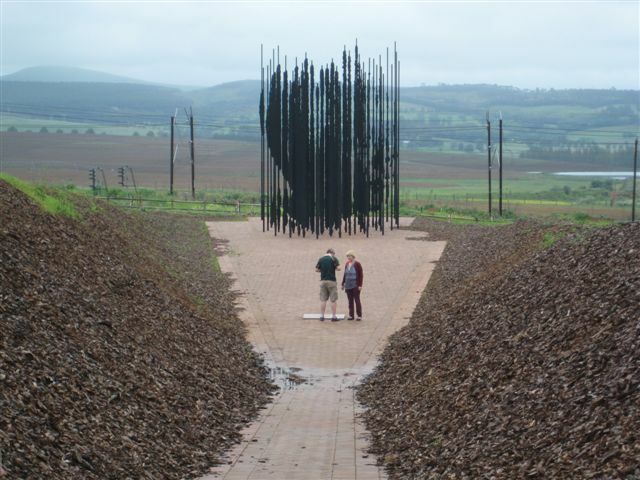 The approach to the site, designed by architect Jeremy Rose of Mashabane Rose Associates, leads one down a path towards the sculpture where, at a distance of 35 metres, a portrait of Nelson Mandela, looking west, comes into focus as the 50 linear vertical units line up to create the illusion of a flat image.